Fortnight: noun. A period of two weeks. Students of British English are quite familiar with this word, but it hasn’t gained as much traction on the western side of the pond. While it may seem a bit unusual to some, it sounds a lot better Photo of Every Other Week.This year the Sublux site has a large photograph across the top of the homepage. We are going to change it every two weeks, and the person who answers a question about each photo correctly will receive a garment.This week’s prize is a cityscape hoodie. We’re going to start out nice easy. Anyone who has ever been here should know the answer to this question: What lake, in what town, was this photo taken from? 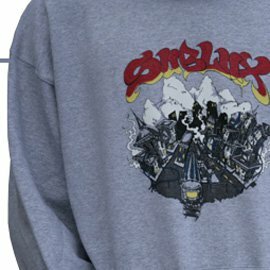 The first person to post the answer in the comments section on the Sublux site will receive the hoodie. The winner will be announced on Sublux’s site at the end of every round.